Helping your kids wind down for bed in the evening is a great way to make bedtime less of a fight. Quiet and relaxing activities can settle children down so that they want to go to bed. This approach can also help kids get a better night’s sleep, which is important for memory, focus, getting higher grades, lowering stress, and decreasing anxiety and depression. Sleep deprivation in children can cause hyperactivity and behavior problems and has even been linked to attention-deficit/hyperactivity disorder (ADHD). Getting into a regular routine and having your children start relaxing before it’s time to go to bed can help them fall asleep faster. Here are some quiet but fun bedtime routine activities for kids of all ages. Bath Time: If you want to get the most out of your toddler’s bath time, schedule it at the end of the day, soon before bedtime. Soaking in the bath is relaxing and can improve your toddler’s quality of sleep, so don’t rush through it. Adding Epsom salt can enhance the relaxing effects of the bath because of its magnesium content; it stimulates the release of hormones that reduce stress and promote healthy sleep. Choose a bubble bath that’s infused with essential oils, or simply add a few drops of essential oil to the bathtub. Through aromatherapy, essential oils like chamomile, bergamot, cedarwood, lavender, and ylang ylang can soothe your toddler’s nervous system and gently promote sleepiness. Give your child time to play in the bath with bath toys before heading to bed. Relaxing Music: It’s a good idea to play some relaxing music during bath time or throughout your toddler’s bedtime routine. This signals to your child that bedtime is nearing and helps them start to feel sleepy. Music has been found to help relax children who struggle with ADHD, but it has a soothing effect on any child. Relaxing music before bed has also been found to improve children’s quality of sleep. You might try meditation music or lullabies for kids. 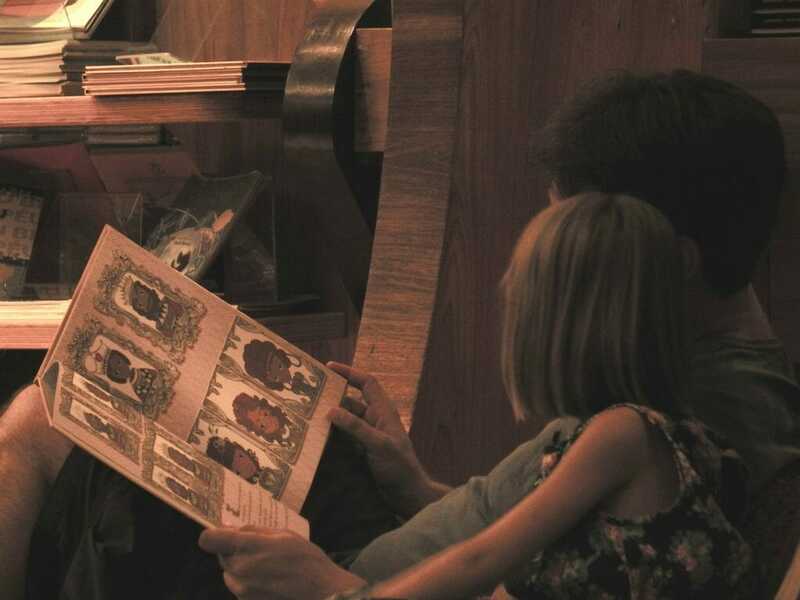 Reading Books: Reading with Mom or Dad is a relaxing as well as educational activity for toddlers. Decide how many books you’ll read that night to avoid the ongoing “one more story” issue, then let your toddler pick out the books. Get comfortable and read. Let the books spark conversation between you and your toddler by asking them questions about the story and characters. You might choose to read a bedtime-themed book as your last book before bed. Certain bedtime stories are actually written to encourage children to feel sleepy and go to bed. Sing Lullabies: Your toddler loves the sound of your voice. Make a habit of singing a couple of songs your child likes and it can put them to sleep. If they want to sing nursery rhymes or songs they know with you, this can be calming as well. Pretend Play: Playing with dolls or action figures can be a quiet activity your child can sit down and do before bed. According to research, imaginative play can have positive impacts on children’s social, linguistic, and emotional development. Encourage them to put their favorite dolls, action figures, or stuffed animals to bed and say goodnight to them. Coloring: Coloring is a great way to wind down before bed because it relaxes the mind while the body sits still. With their creativity flowing freely, their body can ease into a more relaxed state. Pipe Cleaner Crafts: Another mess-free creative activity your child can do before bed is playing with colored pipe cleaners. These can be shaped and twisted together to create any design. Encourage your child to make pipe cleaner animals, people, and other creations. Storytelling: Instead of reading a book, tell your child a story using your imagination, and invite them to tell you one. Get comfy together or get your child completely tucked into bed for storytelling time. Games: Board games like mancala, Apples to Apples, Uno, and Pictionary can be a great way for siblings to spend time together, or for you to help your child wind down in a way that adds to their day in an educational way. Children’s yoga: Yoga is a way for children to get a little exercise without riling them up. They can do yoga poses in their pajamas without the need for a yoga mat; just do it on the floor or even the bed. Teach your kids simple poses that focus on relaxation before bedtime, such as cat and cow poses, hero pose, and downward-facing dog. Puzzles: Puzzles at your child’s skill level or that siblings can help each other solve are good choices. They help children wind down for bed by settling them in one place and shifting their focus to a problem-solving activity. Puzzles boost cognitive skills, help kids develop abstract thinking, and can challenge their persistence. Have a conversation: Sit down with your children one at a time or together at the end of the day and let them share their highs and lows from the day. Ask them what they’re looking forward to tomorrow. You can also share something from your day to add to the conversation. This is a great ritual that can help children relieve stress and anxiety simply through reflection and self-expression. Journaling: As children get older, they become less open with Mom and Dad about everything on their minds. Although an appropriate amount of communication is important and can be cultivated, it’s also critical that children develop their own healthy inner dialogue. This is a great time to introduce journaling to children and encourage them to write about their day before going to bed. Tell them about the benefits of clearing their minds and solving problems through journaling and they may find that they enjoy it.